So after a week of being hideously sick, we are back to some level of normality, and that means Alfie's unschool is back in session. I have to admit I was a little freaked out about the concept of unschooling. That’s not surprising when you consider I am a product of a long and very structured education system myself. I know from personal experience that self-led learning is effective; I use it myself on a daily basis, but as an entire education system? That’s a big leap. I suppose in some ways you could say that I needed to unschool myself about education as much as anything. Which is why it has been amazing to be a part of Alfie’s journey into unschooling, and for us to be able to foster his questions and his curiosity. The other day for instance he was sitting at the dining table and asked me what colour you would get it you mixed yellow and red. So I mixed up some paint for him and he got to experimenting. 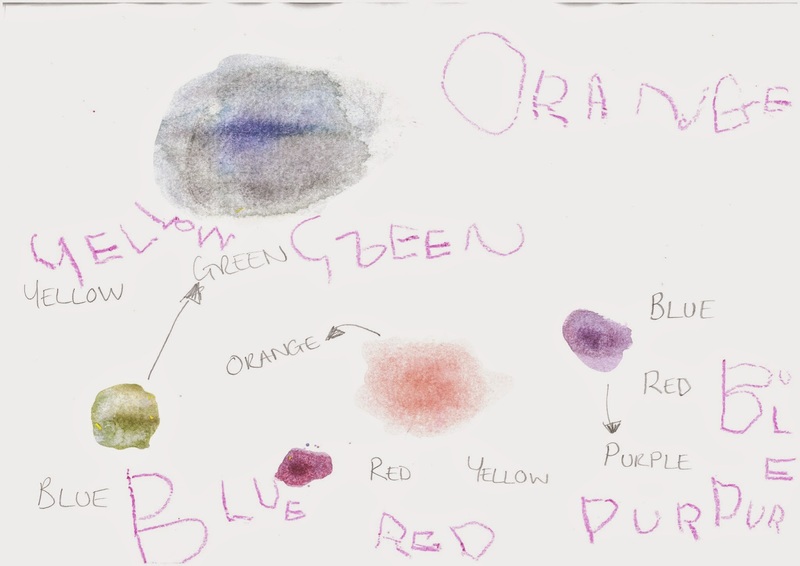 And because he isn't a very language hungry child, we just kept it loose and I wrote the colours down for him to copy if he wanted to. What I love the most about our approach to learning is that I get to play as large a part in Alfie’s education as Keith does. When you unschool, every moment is potential teaching moment and every question can either be answered, or investigated together. And now, if you’ll excuse me, I have to go and find Heavy and light objects to throw off the balcony … we’re answering the question of what will drop faster.